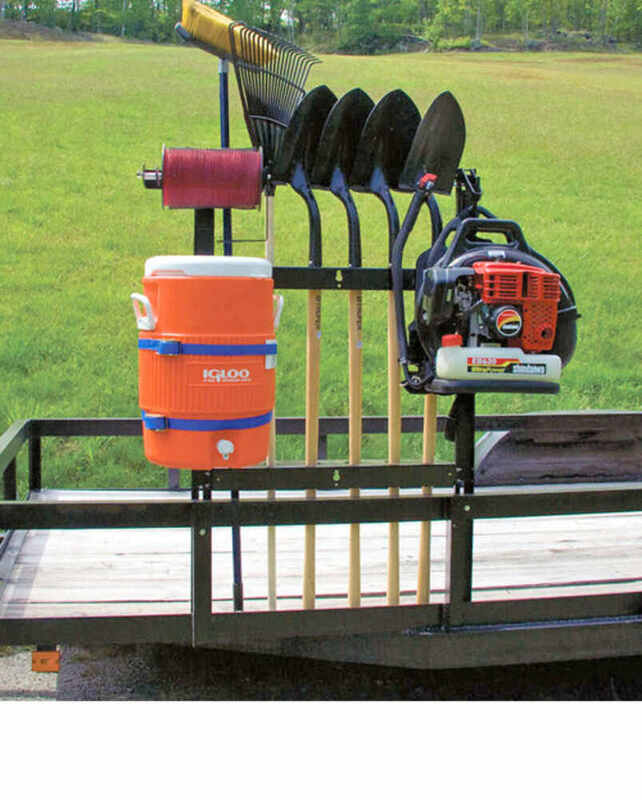 Carry up to 6 shovels, rakes, brooms or other straight-handle tools on your open utility trailer with this easy-to-use system. Included shelves have pre-cut holes for shovels to fit through. Designed to mount to Pack'em tower kit (PK-BM). Lowest Prices for the best trailer cargo organizers from Packem. 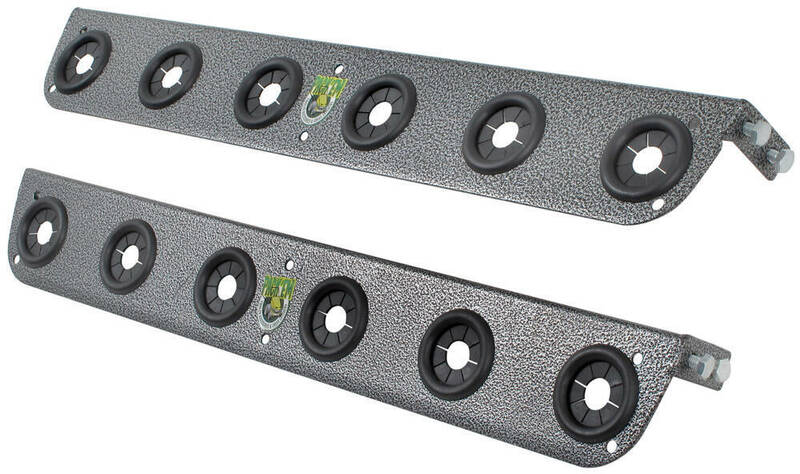 Shovel Rack for Pack'em Racks - Utility Trailer - Qty 2 part number PK-23 can be ordered online at etrailer.com or call 800-298-8924 for expert service. Order: RelevanceNewestRating - High to LowRating - Low to High Carry up to 6 shovels, rakes, brooms or other straight-handle tools on your open utility trailer with this easy-to-use system. Included shelves have pre-cut holes for shovels to fit through. Designed to mount to Pack'em tower kit (PK-BM). It is still in use and is as strong now as it was a year ago. Yes, the Shovel Rack for Pack'Em Racks # PK-23 is available along with the Pack'EmTower Kit # PK-BM to mount it to. When using the Shovel Rack for Pack'Em Racks # PK-23 it would not be necessary to strap the tools down as well. The rack will adequately secure everything as-is. I attached a review video for this rack for you to check out as well.